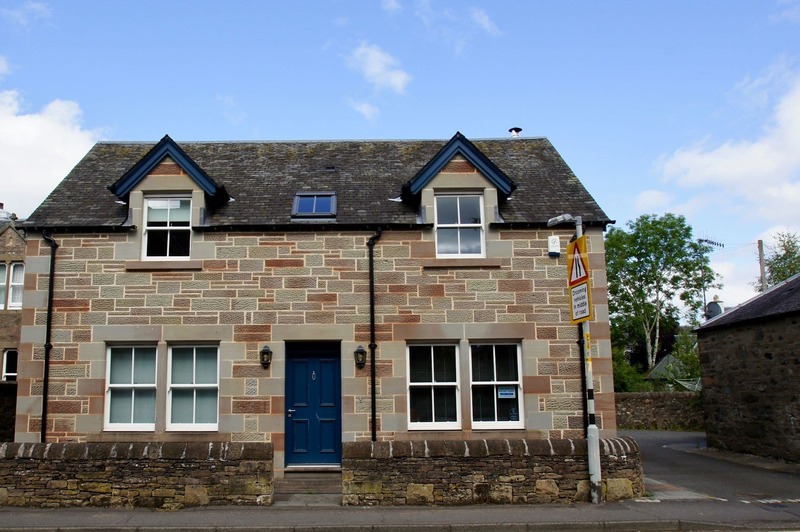 Fire Station Cottage is a pet friendly holiday home in Comrie, Perthshire. 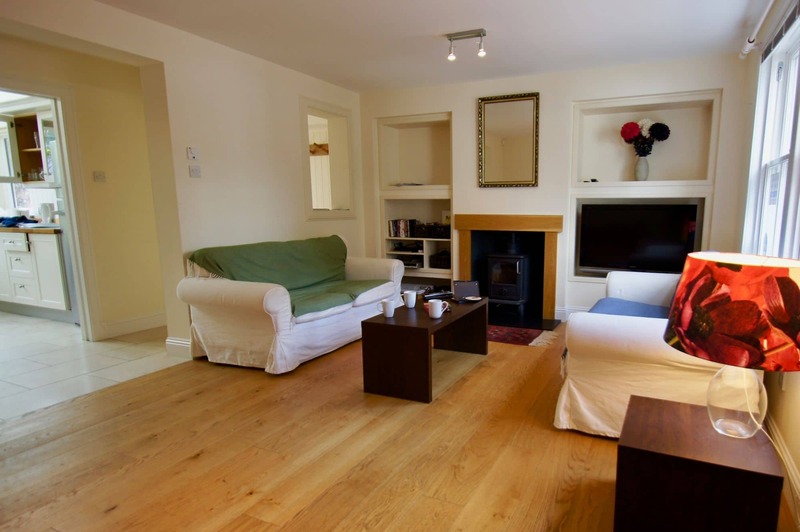 The cottage is a modern, well-equipped, family accommodation sleeping 5 in a central location for local shops, restaurants and walks. 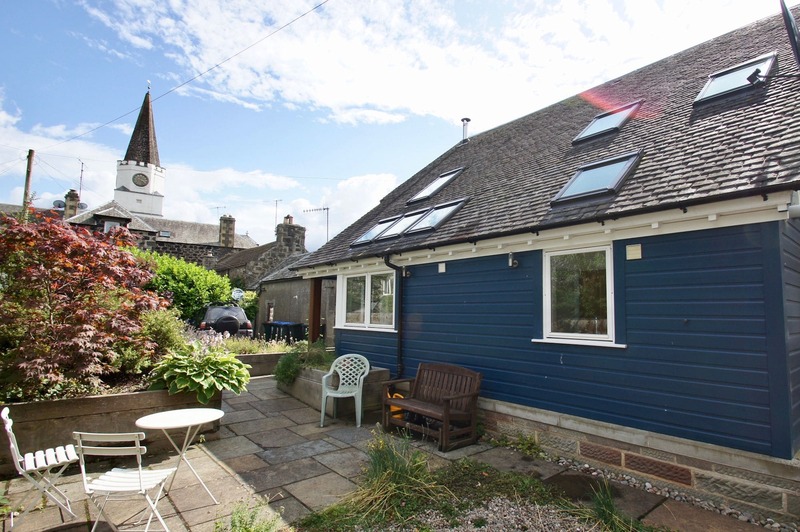 This comfortable cottage has a well equipped modern kitchen with dining area and a utility room. A cosy, comfortable lounge with a Morso wood burning stove, Freeview television, DVD and Wi-Fi as well as a selection of books, maps, guide books and games. Parking is available for one car behind the accommodation. There is also on-street parking and a free carpark in the village. There is a small patio area with seating behind the cottage. Access to the cottage is from the rear with level access. There is a flight of stairs inside the property to the second floor. 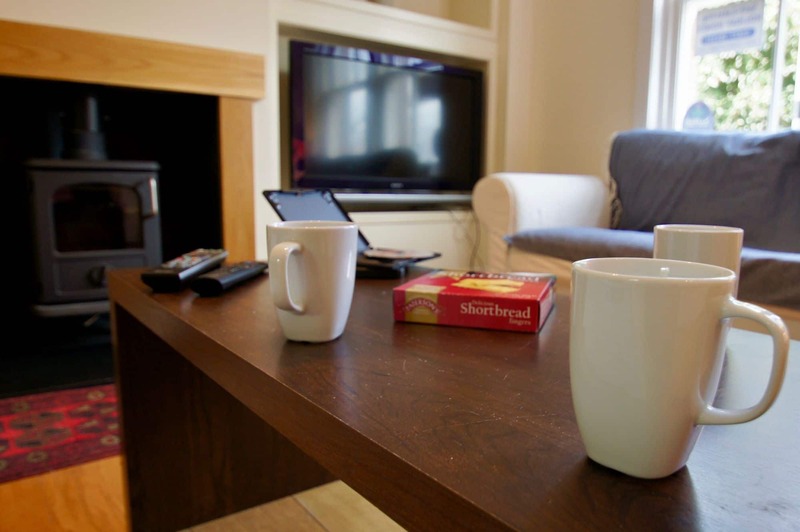 On the ground floor there is a spacious lounge with sofa seating, log-fire, television and DVD player. WiFi is available. There is a fully fitted kitchen with oven, hob, microwave, kettle and toaster. A separate dining room with a table and seating for five people. There is also a walk-in shower room with toilet and hand basin on the ground floor. Upstairs there is a double bedroom with en-suite shower room, a twin bedroom, a single bedroom, and a large family bathroom. The village offers a good selection of shops including a butcher, baker, delicatessen, general store, pharmacy, post office, spa (Senses), hairdresser, and coffee shops. There are several hotels in the village with public bars and restaurants. There is also a golf course and a variety of walks.